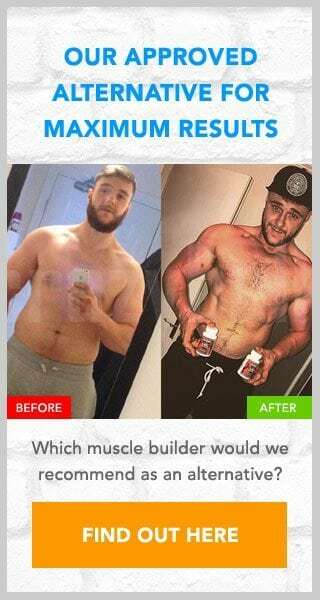 Pure Muscle Gain is a supplement available for trial that claims to help you to “gain muscle and burn fat”, it is also claimed to be “fast, easy and natural”. This all sounds good so far, but can we believe these claims? In the past trial offers like this have been a disappointment as they are often overpriced and not as effective as claimed to be. In this review we will look at the Pure Muscle Gain trial offer to see what benefits it offers and whether we would recommend it or not. 4 Is Pure Muscle Gain a scam? These claims are a little vague to be honest, so to see what benefits this supplement really offers we will need to look at it ingredients in more detail. After viewing the Pure Muscle Gain website I was disappointed to find that there is no label present so there is no way of knowing what it contains exactly. There is a small graphic showing 5 of its ingredients however; Beetroot, Citrulline Malate, Agmatine Sulfate, Dextrose and Caffeine. These ingredients have been shown to boost muscle and strength building, but without knowing the dosages or whether there are any other ingredients present there is no way of knowing exactly what benefits, if any will be experienced. The price of Pure Muscle Gain is even more vague than its claims and ingredients. With trial offers like this the price is usually stated somewhere in the terms and conditions, but while the postage charge is shown ($3.95) there is no indication of its full price once the 14 day trial has concluded. This is a big problem in my eyes and I wouldn’t sign up for an offer like this personally if I had no idea what it would cost. Is Pure Muscle Gain a scam? There are some major problems with Pure Muscle Gain that would make me want to give it a wide berth. The lack of ingredient information and price is a big issue so if I were you then I would look for an alternative. As with the ingredients and pricing, there was no contact information available at the time of writing this review. If you have signed up for this offer and wish to leave your own review please do so below. If you want to experience those muscle and strength gains, but find that your diet and the gym is not producing the desired results then I suggest you take a look at D-Bal, a supplement made available to you from Crazy Bulk. This particular supplement has been created to mimic the effects of the banned steroid Dianabol, but as it is not a steroid these effects can be experienced without the side effects. As D-Bal is not available for trial the price you see is the price you pay. There are no hidden or repeat charges to worry about.